Combination of Diamond scrub + nourishing hair mask for best price. 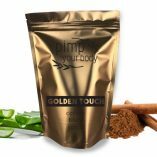 Pimp Your Body to perfection with our BEST products. 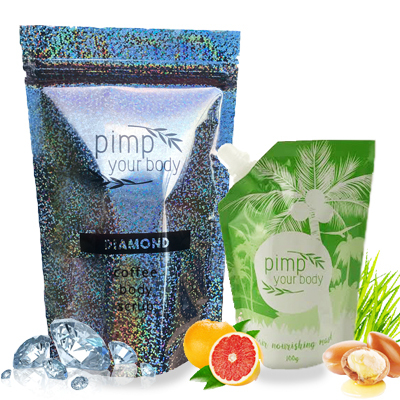 Diamond scrub to nourish your skin, rid it of dead cells, promote tanning effect, and beautifully spoil yourself. Your hair will take care of our nourishing mask, mostly during the summer when care is more important than ever, when your hair is exposed to pool or sea water, to sun rays. With the convenient PIMP Your Body package, both products will be handy when you need them.